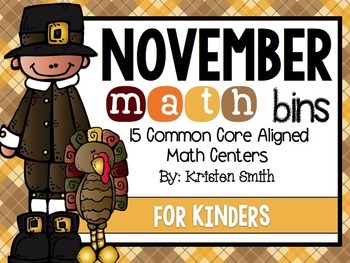 This HUGE packet has everything you will need to keep your math centers running in November (in your kindergarten class). 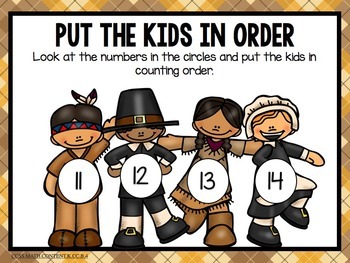 It includes 15 math bins to keep your students working on their math skills in a fun and engaging format. 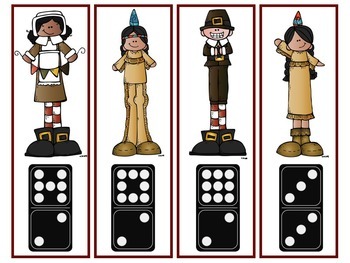 This month the themes include Pilgrims, Wampanoags, "Thanksgiving," family, and turkeys. There are centers for all levels of learners in your classroom and each center is aligned to the common core! 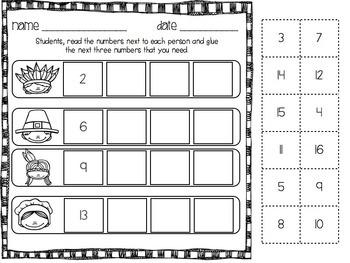 This month students will work on: number cardinality, addition, reading and understanding base ten blocks, reading and understanding ten frames, writing simple addition number sentences, coins, counting objects in a set, counting to 30, writing the numbers 1-24, understanding the relationship between numbers and quantities, connecting counting to cardinality, measuring, patterns, using a ten frame and more! Students will love these games and so will you. Most centers come with a recording sheet that will provide you with an assessment if you need one. Please download the preview to see an up close look at some of the centers provided in this packet.